It’s time for another roundup, featuring upcoming highlights on Blu-ray and DVD. Once again, there are plenty of interesting releases coming your way. So if you can’t make it out to the movies this week, be sure to give one of these titles a try! 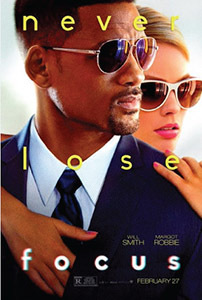 Focus - A con man’s latest scheme gets increasingly complicated when a woman from his past enters the picture. Naturally, it becomes difficult to tell who is playing who and to what purpose. While notices were mixed, there were more that fell on the positive side than negative. It has been described as an overly complicated comedy/crime flick that occasionally has difficulty suspending disbelief, but manages to work overall thanks to the charisma of its cast. 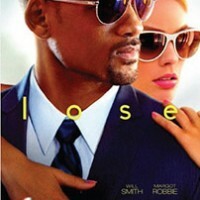 Will Smith, Margot Robbie, Rodrigo Santiago and Gerald McRaney headline the film. 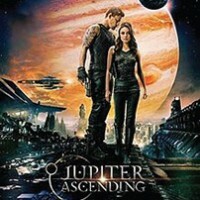 Jupiter Ascending - The latest science-fiction epic from The Wachowskis (The Matrix, Cloud Atlas) got a lot of bad press and underperformed at the box office earlier in the year. The story follows a poor house cleaner who discovers she is a princess from another galaxy. She must return to her home world to claim her title and save the Earth. It was called a visually spectacular but confusing effort littered with plot holes. Many also complained that this unfathomably strange flick was highly derivative of The Matrix. Check it out for yourself and see what you think. 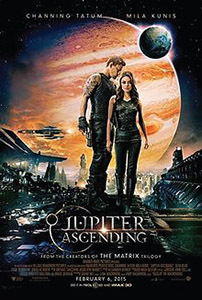 It features Mila Kunis, Channing Tatum, Freddie Redmayne and Sean Bean. 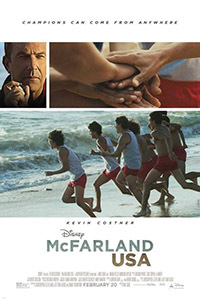 McFarland, USA - This Disney drama tells the true life story of the 1987 McFarland High School cross country running team. They exceeded expectations and eventually challenged for a championship title. While almost all the critics called it incredibly old-fashioned and formulaic (with some even suggesting that it was a tad condescending), most of them admitted that the underdog story ultimately worked and that the end result was inspirational. 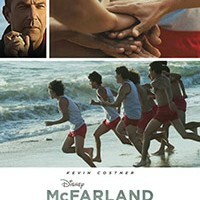 The movie stars Kevin Costner as the team coach and Maria Bello. 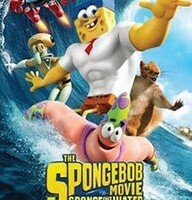 The SpongeBob Movie: Sponge Out of Water - A decade after the first animated movie, the bizarre talking sea sponge returns for another round of slapstick gags. This time out, a nefarious pirate plots to steal the Crabby Patty formula, forcing the gang out of the water to retrieve it. The press were generally positive about the follow-up. While they suggested that it was episodic and wouldn’t appeal to anyone who isn’t already a fan, they implied that there was plenty of quirky and surreal laughs that would appeal to both the young as well as young-at-heart. 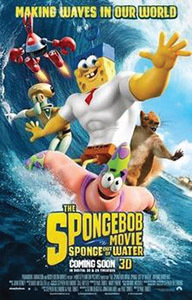 Antonio Banderas plays the pirate, while voices are provided by the likes of Tom Kenny, Clancy Brown and Matt Berry. It’s a quiet week for reissues and older films, but there are still a couple of noteworthy titles. Shout! Factory are releasing a Blu-ray of the low-budget, atmospheric cult horror film Scarecrows (1988). It’s about a heist gone wrong that strands a gang of criminals in a massive cornfield with the supernatural, malevolent title characters. Honestly, I don’t remember the movie all that well, but the scarecrows do look creepy and the movie’s reputation has grown over the years, making it seem like a title worth revisiting. The Blu-ray contains multiple audio commentaries, interviews as well as the trailer and other promotional materials. 1776 (1972) is a musical adaptation (based on the Broadway play) of the Founding Fathers in the American Revolution. The new Blu-ray from Sony Pictures includes the Director’s Cut of the film in high definition. It also contains a director commentary, deleted scenes and other extras. Many readers may be familiar with the Warner Archive, a service brings some of their lesser known catalog films to DVD, burned for each buyer on a DVD-R disc. It’s a great service that helps forgotten movies see some form of distribution. 20th Century Fox has the same service and are bringing the Alan Arkin comedy Fire Sale (1977) via their Cinema Archives line. It’s about a very eccentric family who run a clothing store - the movie features a great cast that includes Rob Reiner, Vincent Gardenia, Sid Caesar and Alex Rocco. Finally, Warner Brothers are bringing a box set of classic titles to Blu-ray. 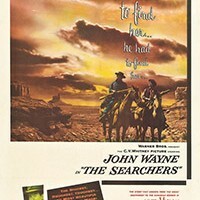 The John Wayne Westerns Film Collection features the star in films from various eras of his lengthy career. 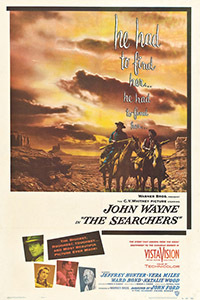 This collection includes Fort Apache (1948), The Searchers (1956), Rio Bravo (1959), The Train Robbers (1973) and Cahill: United States Marshall (1973). Young ones have a lot to choose from this week. The highlights are listed below.